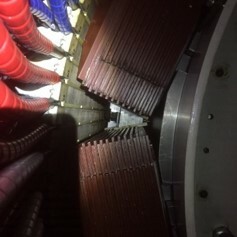 The application of Power Electronics Systems to the excitation field of synchronous machines can lead to voltage surges and non-uniform voltage distribution in the rotor winding, which could be harmful for the electric insulation. 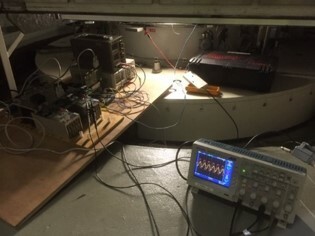 The WP4 team from Uppsala University, Sweden, developed a distributed parameter model for the U9 rotor winding in the Porjus Hydropower Plant, which is capable to describe the field winding stress during high-voltage/high-frequency switching supply. 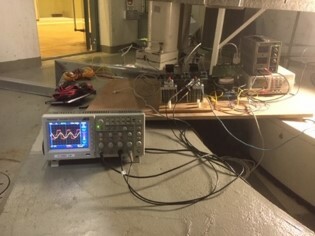 The researchers found an experimental way to determine said model parameters by using the natural resonance frequencies of the field winding. 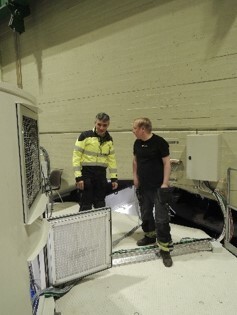 The equipment needed for the test was prepared in Uppsala and then transported to the Porjus Hydropower Plant for the test. 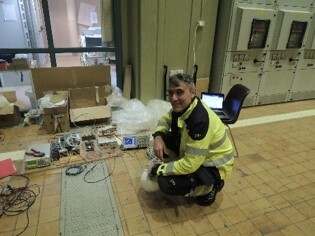 Once at destination, some work has been spent for surveying the generator and for ensuring that the necessary safety requirements were met. 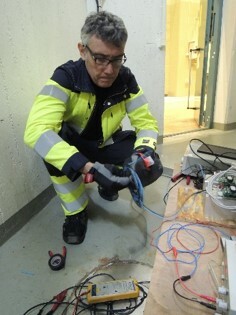 The measurements were then successfully performed. 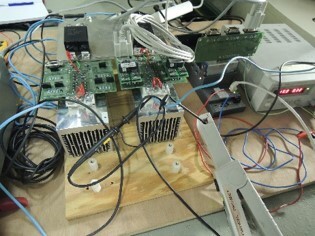 A self-built Variable Frequency Drive has been used for sustaining the resonance at different winding lengths. 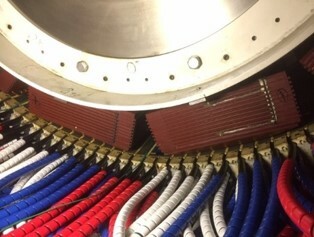 Two U9-group rotor saliencies with massive copper bars winding. 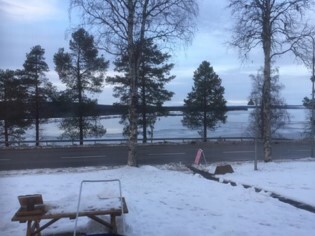 The Porjus Hydropower Plant is located in Northern Sweden, beyond the Arctic Circle, and exploits one head of the Luleå river. 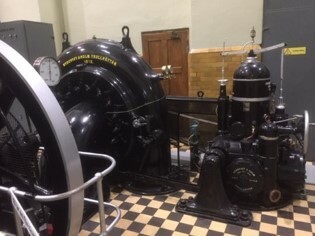 The old part (1910-1915) of the power station houses a hydroelectric museum and proves two fully functional generation groups for experiments (U8, U9). 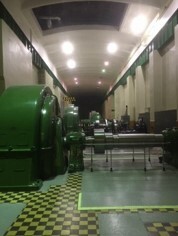 Porjus Hydropower Station building, basin and museum.